Fiesta R2, build 2013 German License. No damages, Tarmac spec. Option : Heavy duty trackrod kit, Oil cooler kit, 23mm brake master cylinder kit, Heated windscreen kit, Heavy duty track rod, ect. All original M-sport. Engine 1000km from new, gearbox 1200km. Small or big spare package available. Also available MCC Sport Fiesta R2 build 2011, Dutch License. Tarmac spec. Engine 500km with new bearings, gearbox 500km, Options: Gear display kit, Coralba Giant Trip computer, Map light, Spare wheel bar, Heavy duty track rod, 23mm brake master cylinder, Engine warning lights, Heated windscreen kit, etc. All original M-sport. Ready for 2014 season. Including small spare package. Big spare package available. Also available MCC Sport build 2014 Fiesta R2, Dutch License. Accident free. The best Fiesta R2 available!! Very light weight. Tarmac spec. Full option : Gear display kit, Drivers foot tray, Monit trip computer, Map light, Spare wheel bar, Carbon spare wheel tray, Safety kit, Heavy duty trackrod kit, Jack and bracket kit, Wheel brace kit, Oil cooler kit, 23mm brake master cylinder kit, Engine warning lights, Roof vent kit, Heated windscreen kit, ect. All original M-sport. Engine 500km from new, gearbox 300km after rebuild, Ready for 2015 season. Including small spare package. Big spare package available. Possible to rent Fiesta R2 for Dutch Championship, Belgium Championship and ERC/WRC Championship. Arrive and drive possible. From 30 euro KM/SS. MCC Sport more than 20 years of rallying experience. 2x Fiesta R2, build 2013 German License. No damages, Tarmac spec. Option : Heavy duty trackrod kit, Oil cooler kit, 23mm brake master cylinder kit, Heated windscreen kit, Heavy duty track rod, ect. All original M-sport. Engine 1000km from new, gearbox 1200km. Small or big spare package available. Price 30000 / 34500 euro. MCC Sport Fiesta R2 build 2011, Dutch License. Tarmac spec. Engine 500km with new bearings, gearbox 500km, Options: Gear display kit, Coralba Giant Trip computer, Map light, Spare wheel bar, Heavy duty track rod, 23mm brake master cylinder, Engine warning lights, Heated windscreen kit, etc. All original M-sport. Ready for 2015 season. Including small spare package. Big spare package available. 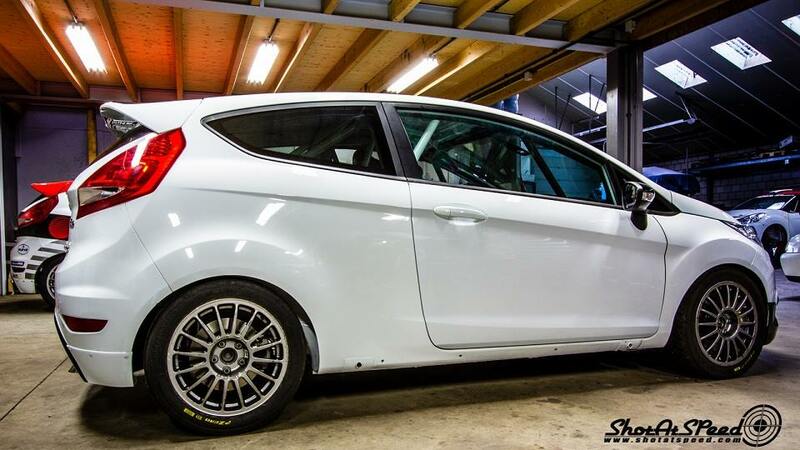 MCC Sport build 2014 Fiesta R2, Dutch License. Possibility to rent the Fiesta R2 for the Dutch Championship, Belgium Championship and ERC/WRC Championship. Arrive and drive possible. From 30 euro KM/SS. MCC Sport Fiat 500 1.4 16V, Dutch License. Build by MCC Sport. Accident free. Only national homologation. Very light weight. Tarmac spec. Options : 8 wheels, Map light, Spare wheel bar, Safety kit, short 6 speed gearbox with limited slip differential. Engine 115 HP mapped with original ECU. Engine 200km from new, gearbox 200km from new, Proflex 3 way suspension. Very reliable car. Price 11.500 euro, ex vat.